When you need clutch repairs in Cadnam, Southampton, look no further than Cadnam Garage Services. We offer a high quality clutch replacement service at affordable rates to get you back on the road in no time. We know how annoying and scary it is for your clutch to go but are here to help with all your needs. We believe in quality and that isn’t just about the parts. At Cadnam Garage Services, we want you to go home feeling looked after and cared for. Our aim is to get to the root of the problem, find the best solution and help you understand why your clutch needed replacing in the first place. Cadnam Garage Services mechanics will go through all repair options first, such as checking your clutch fluid and other smaller parts. The aim isn’t to get you to spend money; it’s to get you back on the road quickly. When a clutch replacement is needed, we only use the best suppliers. The team at Cadnam Garage Services doesn’t want you to come back within a few months with the exact same problem. 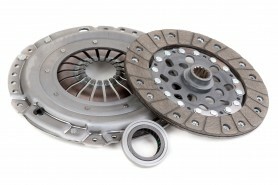 Contact Cadnam Garage Services in Cadnam, Southampton today for your clutch replacements needs. We will do everything we can to help. If you have any questions or need more information, please get in touch.